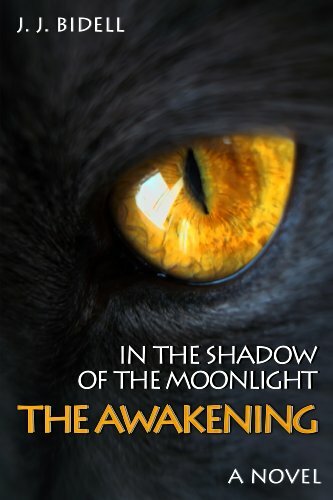 Into the Shadow of the Moonlight, by J.J. Bidell, is currently FREE for eReaders on Amazon right now. So, take advantage! If you don’t have an eReader, don’t forget that most phones have a Kindle app for FREE, so you can always download Into the Shadow of the Moonlight to your phone! But hurry, this offer ends December 14, 2011, so go get your copy now! From Goodreads: Naomi Roberts finally receives a scholarship for a semester abroad in Maine. When Naomi’s grandmother suddenly claims that Naomi will soon be transformed into a panther, like her great grandmother Romina, Naomi believes it is a final and desperate attempt to keep her from departing to the USA. Having arrived in Maine, Naomi enjoys her student life with new friends and her first love, Roman. Even though she feels magically drawn to a mysterious clearing in the woods, believes she is being watched and begins to sleepwalk, she does not remember the prophecy of her grandmother. Until her very first transformation. And – Naomi is not alone, which not only exposes her to mortal danger, but also Roman.